Write a Killer CV and Become a Recruiters Magnet! 1. How To Write A Killer CV That Recruiters Will Love! 2. 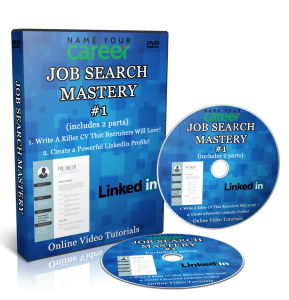 How To Create A Powerful LinkedIn Profile! Once registered, you will receive an email with your access link and login details. This video course is backed by a 30-day money back guarantee. In other words, should you feel that you’re not learning, just send us an email and we will refund you, no questions asked.